Teeth grinding, or bruxing, is another common symptom associated with mouth breathing and then exacerbated by stress or nervous tension. This grinding can cause damage to the teeth including visible enamel wearing, tooth cracking or loose teeth. 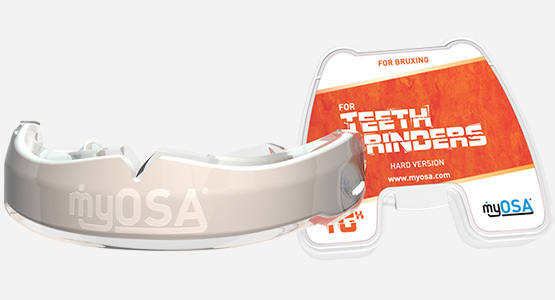 While the entire Myosa® range will offer some protection against the damage caused by teeth grinding, the Myosa® for Teeth Grinders is designed specifically for this purpose and provides a protective barrier between the teeth. Intended to wear with use, these appliances can be easily replaced to prevent damage to the teeth. The Myosa® for Teeth Grinders - TG is specifically designed to provide an immediate protective barrier against night time teeth grinding and works best for patients who do not show any symptoms of jaw joint (TMJ) disorder. 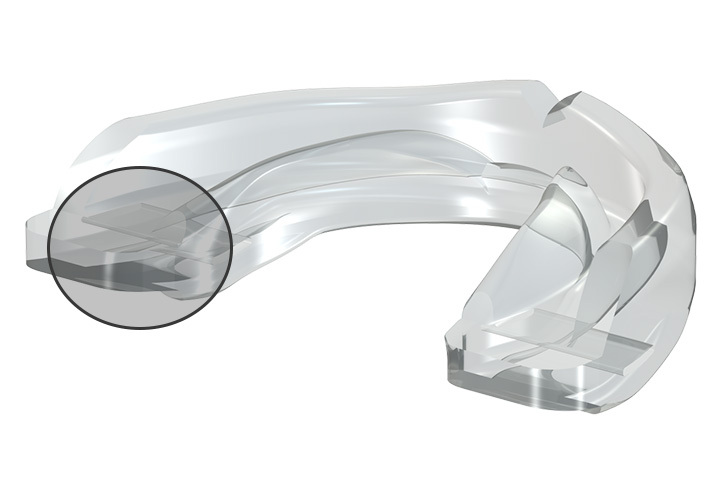 The appliance, which can be fitted in less than two minutes, fits firmly and comfortably over the upper teeth and provides a soft, flexible barrier that protects the teeth as well as the jaw joints (TMJ) from the effects of teeth grinding. The Myosa® TG is recommended for night time use as well as during the day if necessary. The Myosa® for Teeth Grinders – TGH is specifically designed for heavy tooth grinders who may also experience symptoms of jaw joint (TMJ) disorder. 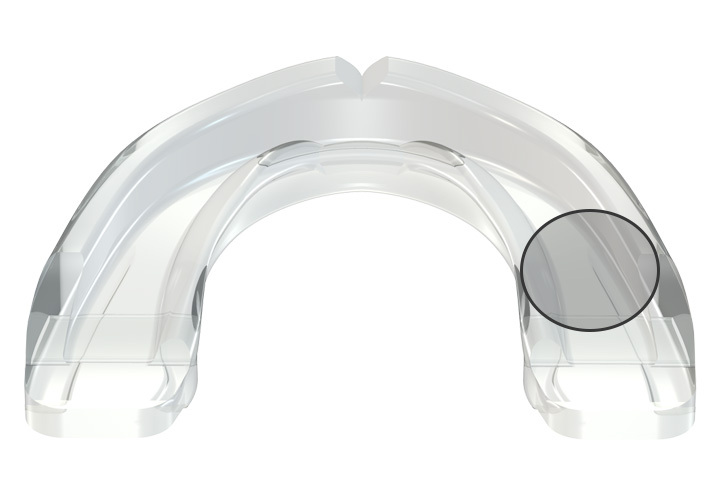 The dual layer appliance, which has a hard inner core encased in a soft outer provides a firm fit and optimum retention for the upper teeth as well as additional durability to protect against severe grinding. An thickened base provides extra protection at the molar area and ensures the appliance is gentle on the jaw joints (TMJ) and suitable for people with symptoms of jaw joint (TMJ) Disorder. People who experience damage from habitual bruxing, which is defined as grinding, gnashing or clenching of the teeth and is mostly an unconscious habit while sleeping, are generally prescribed full coverage splints to alleviate the problem. However, custom made splints require time consuming procedures. Treatment with a soft flexible oral appliance is now considered the most convenient way to protect against the harmful effects of night time bruxing. 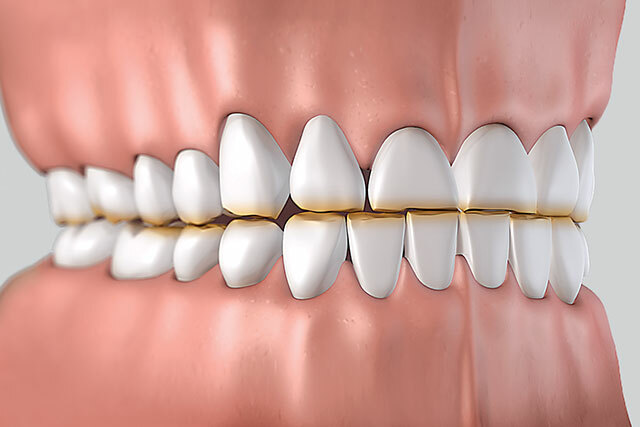 These appliances function by providing a gentle protective barrier between the upper and lower teeth thereby limiting the damaging effects of bruxing. When in place, during sleep, the Myosa® for Teeth Grinders appliances will protect against the damage caused by bruxing to the teeth as well as TMJ. The appliance is customisable to fit most sized mouths and when moulded correctly provides excellent retention. Treatment with a soft flexible oral appliance is considered the most convenient way to protect against the harmful effects of night time teeth grinding. 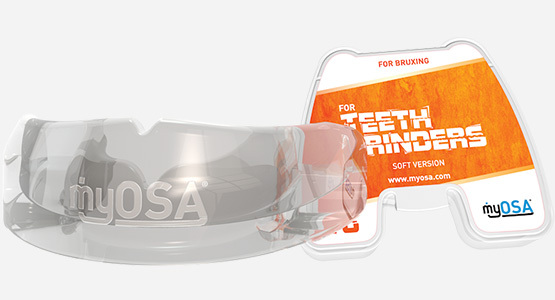 The Myosa® for Teeth Grinders - TG is designed to fit over the upper teeth and provide an immediate protective barrier. When worn during sleep the Myosa® for Teeth Grinders - TG protects the teeth as well as the jaw joints (TMJ) against the harmful effects of teeth grinding. Once moulded correctly, which takes less than two minutes, the customisable appliance will provide excellent retention. The Myosa® for Teeth Grinders - TG is recommended for night time us as well as during the day if daytime grinding is a problem. The single layer appliance, which is made from flexible material, fits comfortably in any mouth size and when in place helps reduce muscle tension around the mouth during sleep. Thickened base provides increased protection of the teeth and jaw joints. 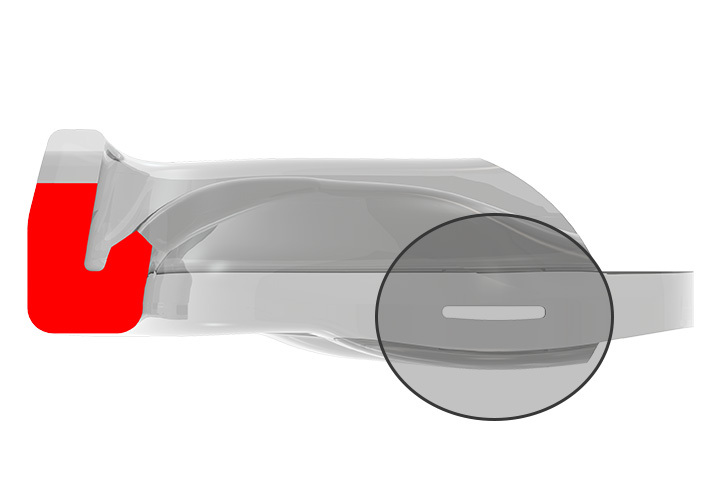 Tongue guards assist to position the tongue correctly. Easily mouldable can be moulded and if necessary remoulded in less than 2 minutes. Single layer provides easy moulding and maximum comfort. 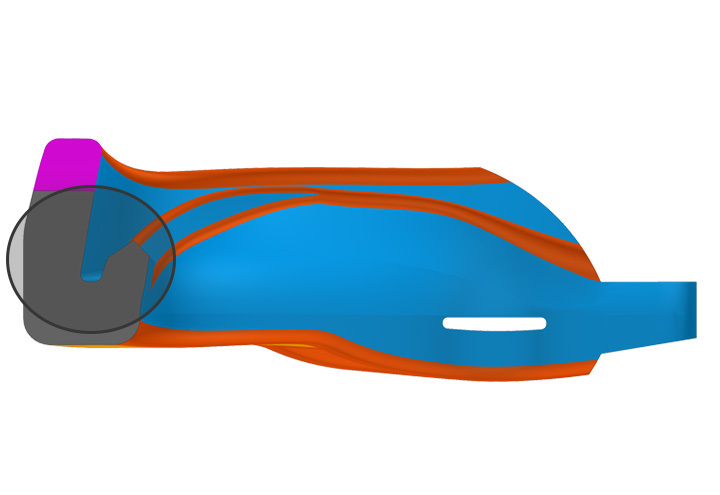 Aerofoil base decompresses the jaw joints (TMJ). 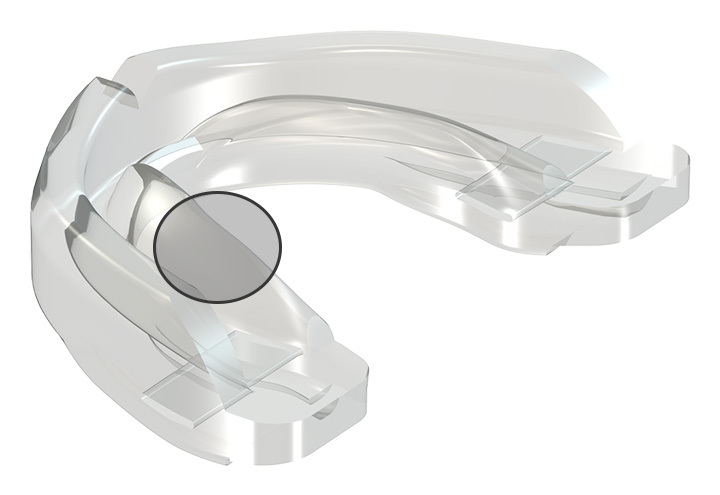 Provides optimum jaw position optimum vertical opening for most patients. Easily mouldable in under than 2 minutes and can be remoulded. 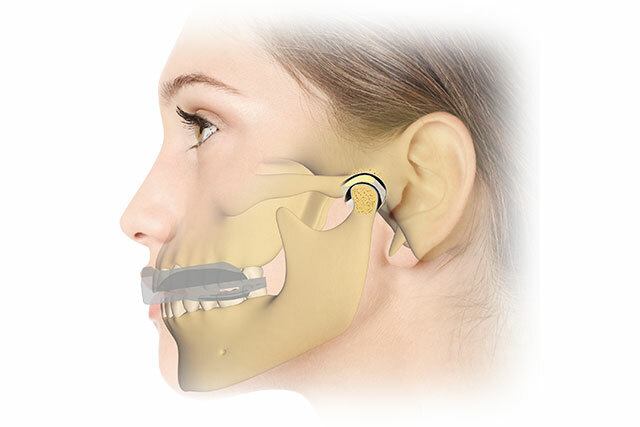 Provides optimum jaw positionand vertical opening for most patients.